Last week The New York Times ran an interesting special section on the topic of energy. The lead article, “There Will Be Fuel,” touched as much on the human-behavior element associated with energy solutions, as it did on the technical. That is, we especially worry about developing a comprehensive energy infrastructure when we fear that our existing supply is threatened. Otherwise, we tend to exhale and wait for the next crisis. In other words, we wake up on a cold morning to find that our car battery is dead. We get a jump from the next-door neighbor and don’t bother to replace the battery. Two weeks later, the temperature is below freezing, we’re at Aunt Gracie’s house 30 miles from home for Sunday dinner and when we’re ready to come home the battery is dead in the water and no matter how much voltage we pump into it the car won’t start. We panic. The world faces many challenging crises. It always has no matter the time in history. Energy continues to be one of them. When it comes to energy we can’t let our guard down, even if we realize that the existing supply is more abundant than we feared. The lingering buzz from last week’s ASME International Mechanical Engineering Congress and Exposition in Vancouver continues, and now that everyone is back in the office, so does the work of the Society. At last count, this year’s Congress had about 3,000 registrants. There were more than 500 technical sessions, plus an insightful energy focused keynote event featuring a moderated discussion among four leading experts; an Honors Assembly that celebrated the accomplishments of individuals who have advanced technology; three special sessions on the Energy Grand Challenge; and numerous other special events, book signings, receptions, and networking opportunities. The buzz continues… in the coming weeks and months ASME will unveil its Engineering For Change initiative, and a new, content rich, ASME.ORG. Moreover, the Society will continue to pursue its three strategic areas: energy, engineering workforce development, global impact and outreach–aimed at ensuring that the voice of engineers is heard in these three important areas. And beginning next month, Mechanical Engineering magazine will begin a year-long initiative called PROJECT CROWDSOURCING. Details of Project Crowdsourcing will be in the December issue of the magazine and also on this blog and on Facebook at on.fb.me/MEMAGAZINE. At its Honors Assembly last Monday, ASME celebrated the accomplishments of those who have spent their professional lives advancing technology. Below is my related column, as it appeared in the December issue of Mechanical Engineering magazine. BESIDES HIS SMARTS, what struck me most when I met Harry Armen, more years ago than I can remember, was his graciousness—he’s one of the nicest human beings you will meet. As I got to know him I realized his wit is as sharp as his intellect, and that’s saying a lot on both fronts. This month Harry, who sits on this magazine’s editorial advisory board, and 68 others will be recognized in a special program at ASME’s International Mechanical Engineering Congress & Exposition in Vancouver, British Columbia, for their achievements in advancing technology. Harry, a past ASME president, retired from Northrop Grumman Corp. in 2007 as chief technologist and his accomplishments are many, but his ongoing work on behalf of the profession and ASME remains tireless. Just last month Harry chaired an ASME task force looking at ways in which the Society can help mitigate the consequences of complex systems failures, such as those that led to the Deepwater Horizon tragedy this spring and the Space Shuttle Challenger disaster in 1986. The meeting included experts in risk management processes and technologists focused on safety and reliability. A Yale University sociology professor who wrote a book on reducing vulnerabilities to natural disasters, industrial accidents, and terrorist attacks contributed greatly to the discussion as well. It was a stimulating exploration of lessons learned, best practices, and ethical responsibilities across industries. In the end, the group identified several areas where ASME can leverage its strengths, and influence the way complex systems are designed. A report from the task force is expected in a few weeks, but the meeting itself served as a notable venue to expand the breadth of critical thought among the participants, many of whom play central roles in developing complex systems for their companies. ASME plays an important role as a catalyst for unbiased, intelligent discussions on emerging technologies and critical issues impacting the quality of the world we live in. And enabling an open dialogue from interdisciplinary and often divergent perspectives is one of the strengths of the Society. So is its role in monitoring emerging technologies that will affect our future. In this issue, we celebrate the achievements of Harry Armen and his peers, who have pushed forward the ever-expanding boundaries of technologies and are being recognized this month at the 2010 ASME Honors Assembly in Vancouver. We also focus on the work of others, like Ahmed K. Noor, who bring us a glimpse of emerging technologies in the areas of information technologies and intelligent networks. And in our ongoing exploration of the confluence of engineering and biology, we asked members of the Emergent Behaviors of Integrated Cellular Systems Science and Technology Center—which will combine research at MIT, Georgia Tech, the University of Illinois, and elsewhere—to tell us of their work focused on the development of complex biological machines. Complex systems, biological and mechanical, develop in time, much as children do on their way to adulthood. Those who shepherd their successful development play a significant role in society, and deserve recognition. Catherine Anselm “Kate” Gleason was an engineer and a businesswoman who was born in 1865. She was a revolutionary in the male-dominated field of engineering. Gleason also became ASME’s first woman member in 1914. A book on Kate Gleason, The Life and Letters of Kate Gleason, has been written by Janis F. Gleason, the wife of the great nephew of Kate Gleason who is chairman of the Rochester, N.Y.-based Gleason Corp., a manufacturer of gears and related technologies. The book, which is being released this month, will be excerpted in an upcoming issue of Mechanical Engineering magazine. I spent a few minutes talking with Jan about her book. Click on the link to listen to the conversation: An interview with Jan Gleason. To read a related article from Mechanical Engineering magazine on the role of women in engineering and on Kate Gleason, click here. ASME President Rob ert Simmons talks with me about ASME’s three strategic priorities, energy, engineering workforce development, and global impact and outreach. To listen to the interview, click below. 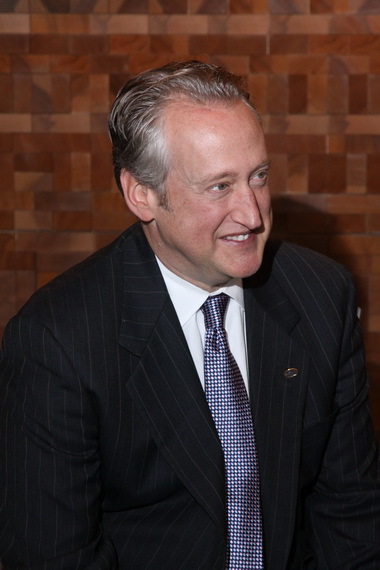 An interview with ASME President Robert Simmons. 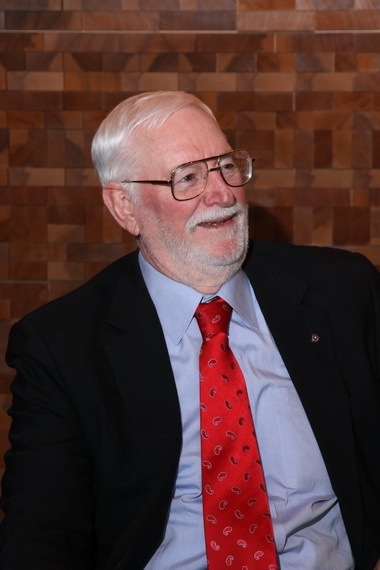 ASME’s Past President Amos Holt remains a strong advocate for the Society’s mission and vision. He and I talked about one of the organization’s strategic initiatives, energy, and more. Click the link below to listen to Amos and his insights. An interview with Past President Amos Holt. 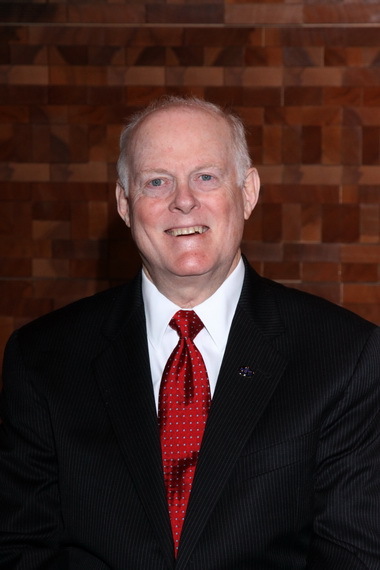 To listen to a short chat with ASME Executive Director Thomas G. Loughlin on his thoughts on this year’s ASME Congress and the state of the Society, click below.